The Japan Aerospace Exploration Agency (JAXA) has released the first group of photos and videos movies taken by its zero-gravity autonomous camera drone, known as the JEM Internal Ball Camera (or “Int-Ball”), aboard the International Space Station (ISS). 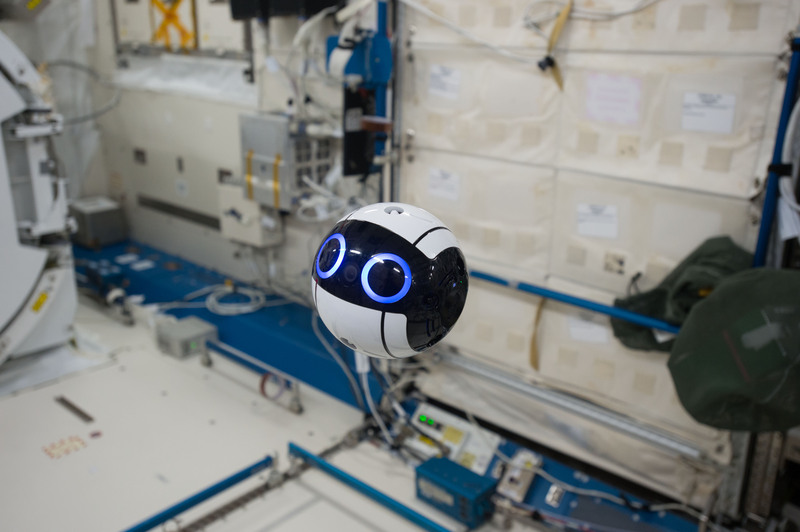 The JEM Int-Ball is the Agency’s first camera drone that can record video while moving in space under remote control from the ground, JAXA said. Its main purpose is to optimise cooperation and communication between flight controllers on the ground and the astronauts on board, and to eliminate the need for onboard astronauts to take photographs: a task which currently accounts for around 10% of working hours. The recorded images and videos taken by the floating camera can be checked in real time by flight controllers and researchers on the ground, and then fed back to the onboard crew, the agency said. Int-Ball was received on board the ISS’s Japanese Experiment Module known as “Kibo” on 4 June 2017, and the images were released on 14 July.